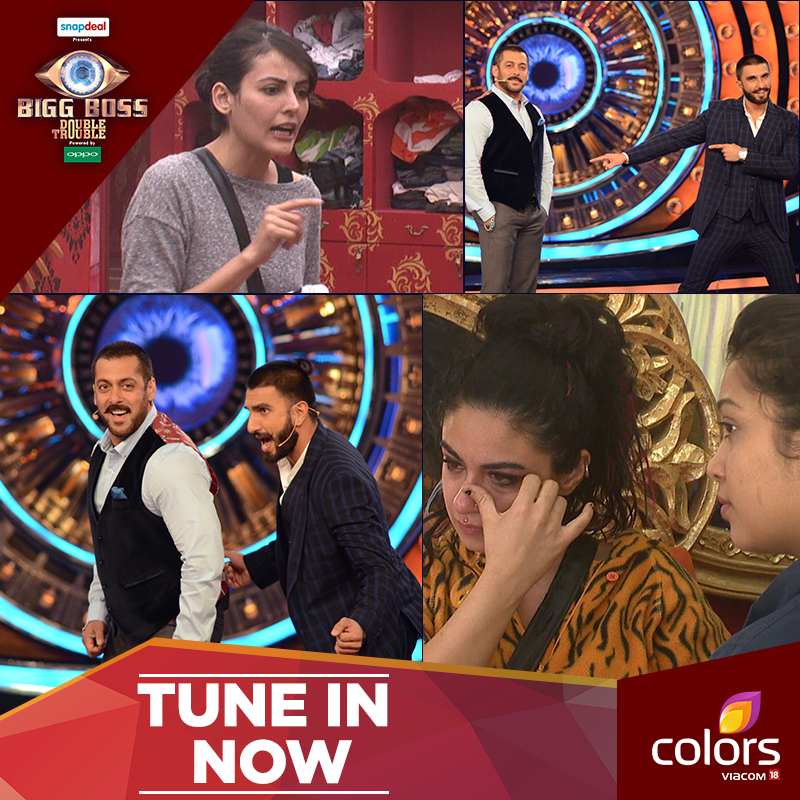 BB9 House Digangana Get Eliminated Bigg Boss 9 6th December 2015 Episode Guest Ranveer Singh : The Bollywood actor Ranveer Singh will be seen entering in the TV reality show “Bigg Boss 9” house for promoting his forthcoming magnum opus film “Bajirao Mastani” on tonight episode. The flamboyant star will be seen having rocking time with the host Salman Khan and also the duo shares laughing chemistry in the “Bigg Boss 9” stage. Apart from having amazing time with “Bajrangi Bhaijaan” actor the “Band Baja Barat”, movie-star star will be seen entering in the house to have chit-chat with the housemates. The cine-artist will be actually visiting the house to find his ‘Mastani’ among the housemates who would have to face a quest to win the title. Also there will be some tasks for the housemates which they will be performing with Ranveer. No one get eliminated today. Digangana Will get eliminate tomorrow from bB9 House. Ranveer Singh also shares a dancing with Salman Khan in the “Bigg Boss 9” stage where Salman actually haves a huge leg pulling for the actor. Regarding Ranveer Signh’s arrival in the “Bigg Boss 9” house the “Bigg Boss” tweeted, “Check out @RanveerOfficial ‘s awesome performance on ‘Malhari’ from #BajiraoMastani ! #BB9WithSalmanKhan” – Bigg Boss 9 (@biggboss9). 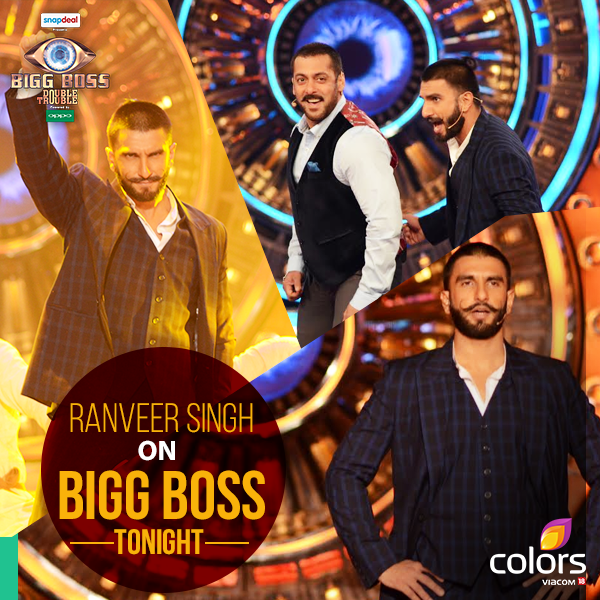 Also in the “Bigg Boss 9” tonight there will be a huge twist for the housemates, which, will be announce by Ranveer himself. It is might possible while living the house Ranveer will be catching the evicted participant and will be taking him or her while going. As we know Digannana Suryavanshi and Suyyash Rai are nominated for eviction by Priya Mallik for this week. Let’s see whose fate will be supporting. “Bigg Boss 9” also tweeted about it, “How will housemates react to the new twist in evictions and @RanveerOfficial ‘s new task? #BB9WithSalmanKhan” – Bigg Boss 9 (@biggboss9). Anyway, as per report it is saying that from the tonight episode it is Digangana Suryavanshi who will be saying good bye to the show. But Diganana actually didn’t vote out by the public’s vote in fact her eviction is totally based on the decision of the captain of the house Priya Mallik. Actually, last week Priya Mallik nominated two participants’ for the eviction Suyyash Rai and Diganana Suryavanshi. Due to voting lines was closed so tonight eviction would be based on the housemates mutual decision. The majority of the housemates wanted Diganana to leave as because of her ill-health she is not taking participation in the task and it is seems difficult for her to survive in the controversial house. Probably she will be going out with Ranveer Singh who will be arriving tonight in the show.